"Super service and great platform"
The customer service management received is second to none, from integration to A/B testing they are always on hand and go over and above. The platform is really intuitive and easy to use for insights and sharing with the wider business. If you have a small team and want to move into referral marketing without too much time resource available then this is the right solution! "Super company to deal with"
The tool is great to make referrals easy for customers and for us to test different offers, copy, images etc. The team (and our brilliant CSM, Nick) is absolutely great in keeping in touch, sharing their learnings across different clients and tailoring new ideas, AB tests, etc. to suit our business. You'll need a good partner with your ecom platform to set things up but on the Mention Me side things are very easy and straightforward. Making referrals easy, testing different rewards, copy, imagery. Tracking referrals and measuring success. "Great platform - would recommend. " -Makes it easy for our members to refer. -Great tracking and analytics which are easily accessed. -The customer interface is highly customisable campaign by campaign. There are gaming controls in place but the nature of referring makes it difficult to know what proportion of referrals are true, versus those that would have otherwise joined but googled us to find a referral bonus. That said, MentionMe make it easy to add more controls but I've found it difficult to do this without constraining 'true' referrals. Easy to track shares (by existing customers), and very easy to perform A/ B tests to work out what reward/copy/imagery/campaign performs best. 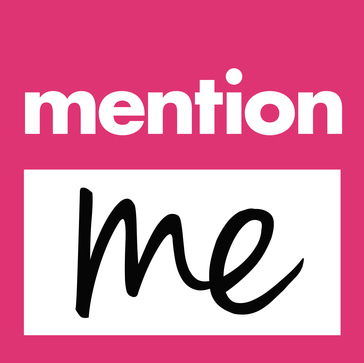 "Easy to use and instant support"
"Great expertise and super easy-to-use platform"
MentionMe is a brilliant partner for a successful Refer-a-friend program : the platform is super easy to use and their teams are always there to support you + coming with new ideas to test and optimise performance. "Powerful tool & great people"
MentionMe provides a powerful solution for referral marketing which is simple to integrate and easy for marketing teams to access and manipulate. We've been really impressed with the speed & proactiveness of our account manager(s) too. We've achieved as much as a 15% share of new customer acquisition through MentionMe after only 5 months using the platform. Easy to use and set up. Great for interaction with customers and referels. Have a excellent Customer service back end. "Great platform dedicated to referral"
The reporting and tracking is fantastic, with tools to help manage referral simply. People try and take advantage of our referral offer but they help us manage this. We wanted a way to track and encourage referral. The use of names makes this very easy. The ease of implementation, the company, the culture. Struggling to think of anything, have yet to be let down. "Have not used yet but did demo"
I liked the product. I like that they say they can increase customers by 30 percent. It seems like a very valuable marketing tool. The price point. I am a small business and the price point is meh. I would solve my customer problem. I have customers, but could always use more. "Very clear positioning, analytics, process, testing"
How well geared it is for marketing teams with clear dashboards, tracking, A/B testing, tracking of orders etc. The entire set up. We are tapping into a channel that was not at all addressed. The easiness to integrate, great onboarding, quick support. Seamless implementation, easy to expand to other markets and languages, quick support. 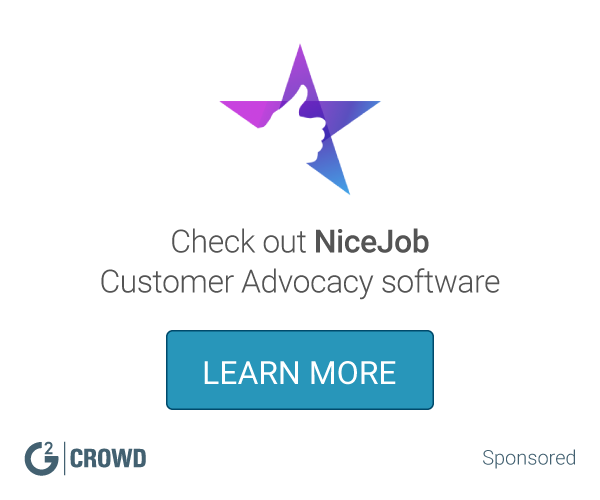 We wanted to grow our referral program and Mention Me was a perfect fit for us. * We monitor all Mention Me reviews to prevent fraudulent reviews and keep review quality high. We do not post reviews by company employees or direct competitors. Validated reviews require the user to submit a screenshot of the product containing their user ID, in order to verify a user is an actual user of the product. Hi there! Are you looking to implement a solution like Mention Me?